The implied warranty of habitability is a core principle of landlord-tenant law in California, and it gives every tenant the right to a habitable rental unit, which includes protection from weather, working plumbing and electricity, appropriate garbage receptacles, a unit free of rodents and other vermin, etc. And San Francisco landlord-tenant law attorney Gregory J. Brod would note that another important issue that can render a rental unit uninhabitable is the presence of lead or lead-based paint, a danger that should be of particular concern to renters with children. 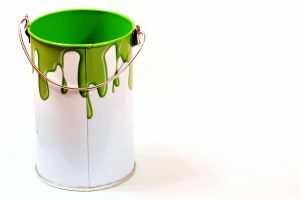 Disclosure is a key element of regulations on lead in the United States that apply to landlords, which is spelled out in the so-called Lead Disclosure Rule, or Title X Section 1018 of the Residential Lead-Based Paint Hazard Reduction Act of 1992. In that federal law, Congress directed the Department of Housing and Urban Development and the Environmental Protection Agency to require the disclosure of known information on lead-based paint and lead-based paint hazards prior to the sale or lease of most housing units constructed before 1978. The 1978 date is important because lead was prohibited from all housing build from that date forward. Landlords must include an addendum to a lease, or language within a lease, that includes a Lead Warning Statement and confirms that the landlord has complied with all notification requirements. A major potential problem with pre-1978 housing, of which there are plenty of examples in the Bay Area’s housing stock, is whether lead that may have been used in the construction process will ever get released in the form of paint chips or dust. In that form, it is particularly toxic to children, especially those age 6 and younger, who may inadvertently inhale or ingest it. According to the Centers for Disease Control and Prevention, there are at least 4 million households in the United States that have children living in them who are exposed to high levels of lead. In addition, there are approximately 500,000 children ages 1-5 in this country with blood lead levels above 5 micrograms per deciliter, which is the reference level at which the CDC recommends the initiation of public health actions. 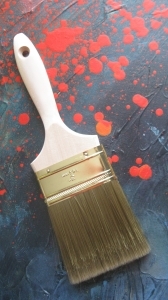 In California, a landmark case was decided in December 2013 in which a California Superior Court judge in San Jose ruled that three major current or former paint companies – Sherwin-Williams Co., NL Industries Inc. and ConAgra Grocery Products Co. – must contribute $1.1 billion to a fund that has been earmarked for cleaning up the hazardous substances present in lead paint in hundreds of thousands of homes in California. According to the Wall Street Journal, the three firms would have to decide among themselves how to apportion the cost of the program that has come about as a result of the lawsuit. The lawsuit was filed by 10 city and county governments in the state, including San Francisco, Alameda and San Mateo counties. The cleanup plan does not mandate removal of all lead paint from homes, but it does require work to remove lead from household areas such as window frames and doors where friction may lead to the release of lead dust or chips. You and your children deserve a safe, habitable living environment in your rental unit. If you feel that your landlord has violated the laws concerning lead paint or any other habitability issue, we urge you to contact the experienced team of attorneys at the Brod Law Firm for a free consultation.